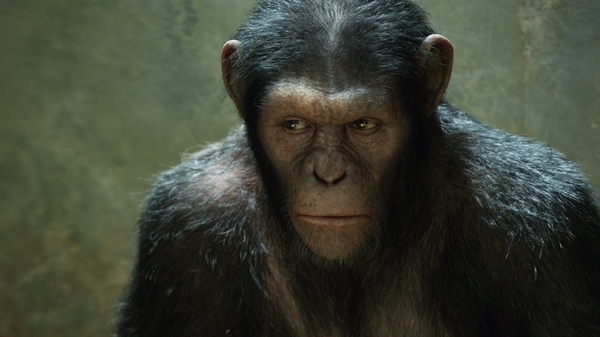 "Rise of the Planet of the Apes is an excellent post-modern meditation on animal rights and human complicity in the continuing fulfillment/failure of same. It's a smooth and slick entertainment, loaded with emotional heartbreak and angering abuse. It sets ups its heroes and villains in strange, restricted strokes and then paints in the subtleties once our simian protagonist prepares for revenge. Make no mistake about it, this is a film founded on payback." I am totally going to see it this weekend, who's with me? "By profiting as a society from the foods that are making us sick and using those funds to make us healthy, the United States would gain the same kind of prestige that we did by attacking smoking. We could institute a national, comprehensive program that would make us a world leader in preventing chronic or “lifestyle” diseases, which for the first time in history kill more people than communicable ones. By doing so, we’d not only repair some of the damage we have caused by first inventing and then exporting the Standard American Diet, we’d also set a new standard for the rest of the world to follow. "